For many people, social media can feel like a forever-changing entity that’s too hard to understand. While there are certain tricks in the algorithms that will change, there are certain principles that will always remain the same. 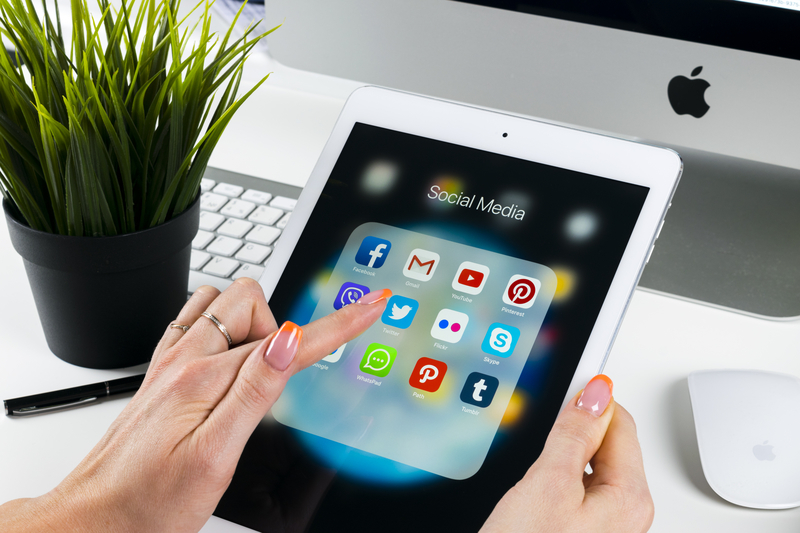 If you’d like to avoid making major blunders in your social media business strategy, it’s best to remember these and do the opposite. Designate some time out of your schedule to create posts. Whether you sacrifice two hours over the weekend or 15 minutes at the start of each day, it’s so important to create posts and make sure they’re published on a consistent basis. Do not make the mistake of creating a page only to leave it empty. Otherwise, you still don’t exist in the social media space. It’s also not a great practice to post whenever you feel like it. Sporadic posting sets a poor precedent because it tells your consumers that you’re flighty. They can’t rely on you to show up on a social media platform, so why should they rely on you to show up in your business? If you want to present a professional online persona, make sure that you’re posting on a consistent basis. Even if it’s not every day, find a schedule to stick to. You can choose to post videos every Tuesday morning at 10 a.m. When you make an effort to do this consistently, this tells your followers that you’re committed to the production process for the long haul. If you are a singing group and tour frequently, make sure that you share the right dates, venues, and information. If you want people to buy tickets to your events, they need the right links in order to make their purchases. If you want people to come and visit your physical store, make sure that you have the right address in the information section. If you don’t make sure that your content is accurate and correct, you’ll lose the interest of people who were genuinely interested in supporting whatever you were doing. To be quite honest, if you don’t have reviews, it looks odd. In order to change this, you might have to do some heavy lifting on your own. If you’re just getting off the ground in regards to getting reviews, you should ask family, friends, employees, and work your way up from there. If you have a client who comes in and uses a service that you provide, be intentional about asking them to add a review to your Facebook page. You can even incentivize the process by adding a 10% discount on their next store visit. You don’t necessarily want to pay people to leave reviews. However, you must advocate for yourself in your business. If you don’t ask, people won’t necessarily know to do it. However, when you have an amazing product or service, people will naturally want to share the news with their friends. When they do, find a way to capture the online post through a screenshot. Share the validating evidence on your page and tag the person who left the review. When there’s a major crisis, tragedy, or celebration, it’s always best to err on the side of acknowledgment. If a public figure passes away, it takes nothing to create a post that acknowledges the loss. If a major crisis is happening within the country, always provide information on your page. Whether it’s a hurricane or a school shooting, it’s always best to acknowledge it because you don’t want to appear tone-deaf as a brand. It can be in poor taste to promote your business while everyone is in mourning or crisis. Another mistake you can make as a business owner involves not engaging with your customers. When people leave comments, reply to them. If you know the comment is spam, that’s the only exception. Otherwise, appreciate people who engage with you, and answer questions if they have them. If someone has a negative experience with your brand, always respond with a desire to find a solution. When you avoid making these major mistakes, you’ll be on your way to creating an excellent online presence with your business. If you are business owners, then you know the importance of digital marketing to grow your online presence. However, many business owners don’t know how to grow their activities online. This is where a digital marketing consultant will provide valuable insight to attract new customers and increase your online sales!